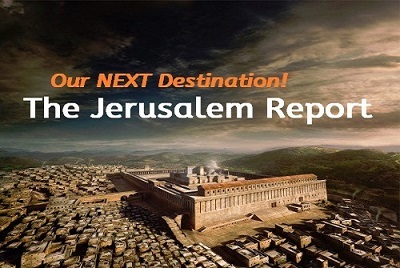 Thank you for loving The Jerusalem Report at Beast Watch News! But I need a break, a little R&R, some recreation, a vacay. Life has been very intense since last summer with the friends converting to Judaism, the Sanhedrin sacrificing to idols outside the walls of Jerusalem, the uptick in war between Israel and Iran because Israel is provoking Iran, and Chabad touting the coming of the Jewish messiah for this Purim season. Whew! BWN will return on February 15, 2019 with a special report unless the world is falling apart, in which case that will constitute the return report. In the meantime, if events make a turn for the worse, I will keep you informed. Hopefully, nothing earth-shattering will happen until I return. Keep checking Beast Watch News’s daily headlines and thank you for understanding how tired I am. I will return refreshed and ready for the next battle!